KRAKOW, POLAND, September 07, 2017 /24-7PressRelease/ — In appreciation of the enthusiastic response to AVIONICS V1, AVIONICS is launching an Indiegogo campaign on September 20, 2017. At the beginning of the campaign, customers will be able to get a discount of 40% – the exact hour of the launch will be revealed shortly. 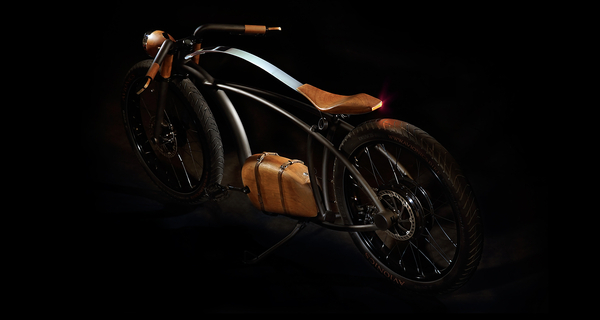 AVIONICS V1 is an electric-powered bike with a maximum speed of 58 km per hour. Crafted from steel, wood and leather, AVIONICS V1 is a premium, hand-made bike with unique distinguishing features. For example, every bike has a lamp which is considered by the designers to be the ‘soul’ of the bike. “As a species, humans have always wanted to fly; not only through the invention of planes, balloons and rockets, but figuratively through philosophy, poetry and art. So we wondered how could we get off the ground in both a metaphorical and a literal way?” recalls Bartek.